Say goodbye to raccoon eyes and hello to this simple treatment with long-lasting results. 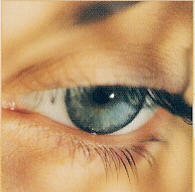 For truly dramatic eyes, have your lashes and brows professionally tinted with color that suits you perfectly. First your eyelashes and brows are gently cleansed. Next, you select your tint, with color options ranging all the way from blue-black to auburn. The tint is applied, allowed to set for a few minutes and then removed. The results? Knock 'em dead peepers in no time at all. massage or a reconditioning scalp massage..
Jeanie's is just the place for a spot of rest and relaxation. A therapeutic full body massage focusing on lower back pain , improving circulation and stress reduction. 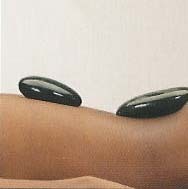 A luscious one hour massage using warm stone therapy to relax sore muscles. Warm towels finish this amazing massage. An essential facial with relaxing massage removing congestion from pores to the face, decalatae, arms, hands and feet. An essential Facial using Dermalogica's antibacterial cleanser for acneic skin to deep cleanse pores and exfoliate. Extractions, steam and massage are followed with the appropriate masque. A consultation recommending skin care at home completes your service. and exfoliation treatments for your skin. Makes fine lines disappear immediately!! Tones & firms eye and lip area. Soothes sensitive or irritated skin. Great for skin that has been overexposed to the Sun or other elements. Firms, Moisturizes and increases Circulation. Good for all skin types!! Credit only toward purchases or services per our discretion.